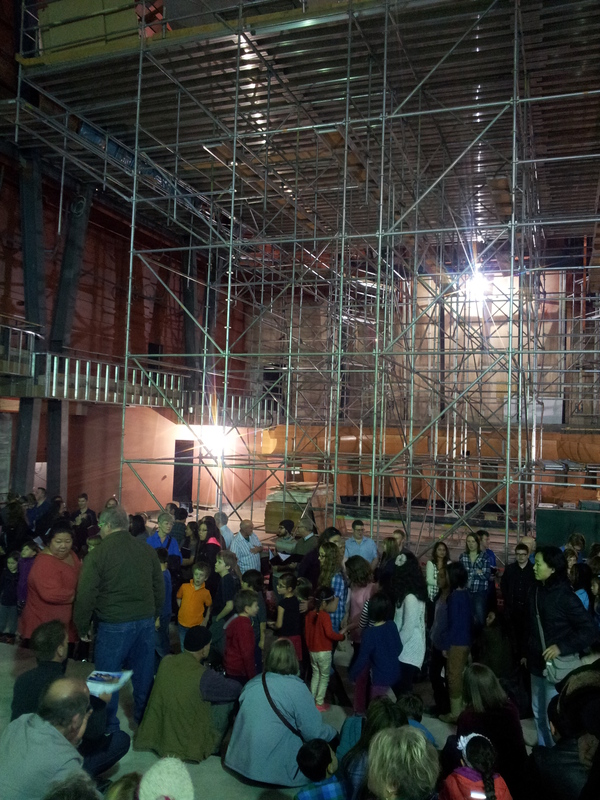 Savridi Singers were singing in a construction site this weekend as the Bella Theatre at Mount Royal College opened for a sneak a peak in mid-construction. We were part of a mass choir showing off the sound as the public came to check it out. Very fun to sing with Jean-Louis and Calgary's wonderful choirs!